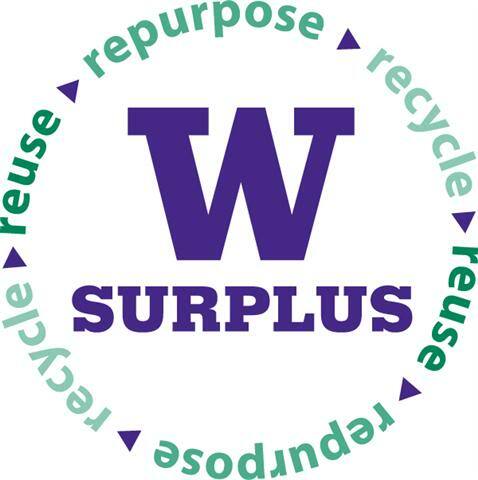 Tuesday, Jan. 22, 2019, 12 – 6 p.m.
UW Surplus has embarked on an art project, and we want to share this adventure with you. Compelling art is a conversation, among other things; it may cause you to delight, to reflect, to squirm, and to question, but above all, we hope that art may engage you to think anew about our world, the things in it, and our relationship to the rest of it all. One can’t work at UW Surplus for any length of time without marveling at the sheer quantity of items that come through our warehouse. When we say that nearly anything a department no longer needs must come through Surplus, we’re not kidding—from boxes of paperclips to hospital beds, from electric typewriters to oscilloscopes, from couches to buses. More than a few of our patrons have reacted to items in the Surplus Store with an unusual mix of nostalgia & bewilderment. A librarian when examining a large wooden card catalog remarked, “This used to be the Internet,” and much of our job at Surplus is to inspire people toward what might be next for objects sometimes viewed as relics, as things that used to be the future. A university must be ever-evolving to ensure its students are trained and ready with and for the newest technology. The cutting edges of 20 and 30 years ago make way for the advancements of the moment, and the older items become surplus, awaiting their next mission. This is where repurposing most excites us. We have seen file cabinets turned into planters for bamboo, giant metal buoys turned into patio fire pits, and oxygen tank shelving reborn as wine racks. For years, though, our staff have been struck by another potential use for surplus goods and that is as the raw materials for fine art projects. Most of what we deal with at Surplus is the flotsam and jetsam of everyday office, classroom, and laboratory life—the often mundane standard components of what constitute our daily lives. That there was ever a time before mouse-clicking might seem as absurd to our parents & grandparents as the functionality of a wooden card catalog does to today’s students. So how could items as mundane as mice, keyboards, phones, chairs, and random machine components lend themselves to worthwhile expression in fine art? This is what we set out to explore when we reached out to the UW School of Art + Art History + Design, specifically, a dedicated group of graduate students in the art program who will be creating works using materials from the Surplus warehouse. Art transcends the mundanities of daily life at a university and compels us to a range of emotional and critical responses, and we’re putting that claim to the test with a show of the finished art pieces by the UW graduate sculpture students hosted at the UW Surplus Store January 22, 2019 from Noon-6:00 PM. We invite you to come view, be challenged & inspired by, and engage with the artists’ works and statements as we explore even more ways of making something new from the old while highlighting the possibilities inherent in surplus property. Won’t you join us?